W2C Treasurer and Managing Director of Fricke & Associates, P.C. 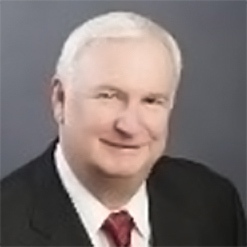 William “Ted” Fricke is the owner and manager of Fricke & Associates, P.C. The company is a direct descendent of the Atlanta accounting practices of William Fricke, CPA and Higgins, Brown & Smith, CPAs which merged in September of 1999. The management team of the firm offers a diversity of both general and specialized accounting, tax, auditing and consulting services. Fricke & Associates, P.C. represents clients in government, not-for-profit, education, engineering, technology, retail/wholesale, transportation, real estate, construction, banking, law, health care, manufacturing, benefit plan administration, and hospitality industries. Growth of the firm has provided unlimited opportunity for advancement for our qualified personnel and the ability to offer broader services to our clients.